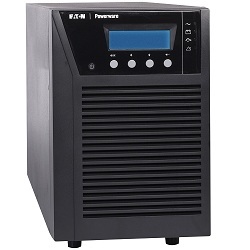 Powerware 9130 true online UPS PW9130G2000T-XL rated at 2000VA - global model with 200-240V input. Tower enclosure features sine-wave output, L6-20P Line Cord, (1) L6-20R, (4) 6-20 receptacles, hot-swappable and optional extended run batteries. High efficiency operating mode provides >95% efficiency for reduced cost of operation. 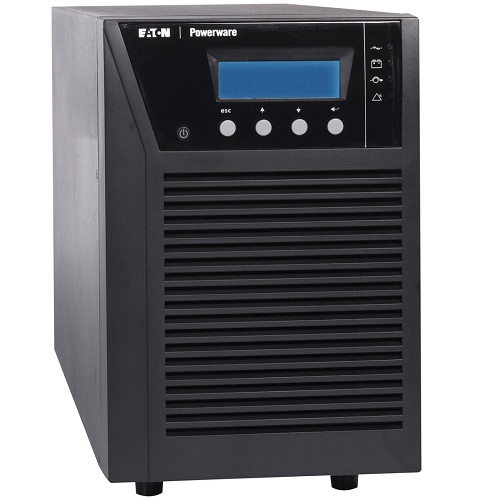 True double conversion ups with 2000 VA capacity provides 10 minutes of battery runtime at full load with standard internal batteries. Optional high-efficiency operating mode provides >95% efficiency for reduced cost of operation.